A parts distribution center located in Michigan’s capital city of Lansing has become the 100th landfill-free facility under General Motors’ umbrella. This milestone marks the culmination of efforts brought into motion 15 years ago, when the automaker took steps to track its outgoing waste, and subsequently recycle or reuse more than 90 percent of the waste generated at plants around the world. Some of the current ways GM is recycling some its waste includes using recycled cardboard scrap in sound absorbing material in the Buick Lacrosse and Verano, as well as utilizing used tires to create air dams for the Chevy Silverado and GMC Sierra. 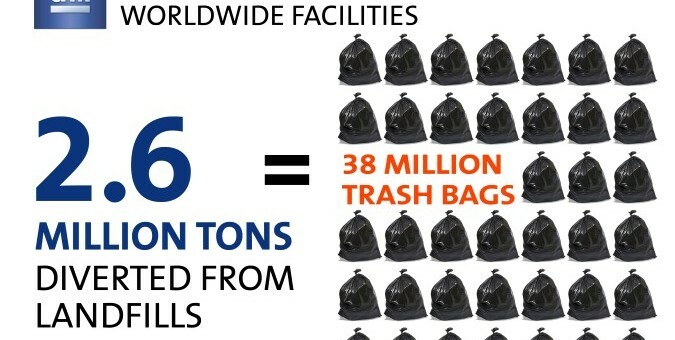 In 2011 alone, GM recycled or reused a total of 2.6 million metric tons at its facilities across the world which equates to 38 million trash bags. We’ll assume they’re Glad bags. With all of this in motion, GM hopes that it can make another 25 facilities landfill free by 2020. This is pretty impressive considering just how much raw materials go into creating cars every year all around the world.